Recommended For: Fans of fairy tale retellings, and for those of you who don’t shy away from dialect from Elizabethan England. Synopsis: Whistling Tor is a place of secrets and mystery. A curse lies over Anluan’s family and his people; those woods hold a perilous force whose every whisper threatens doom. For young scribe Caitrin it is a safe haven. This place where nobody else is prepared to go seems exactly what she needs, for Caitrin is fleeing her own demons. As Caitrin comes to know Anluan and his home in more depth she realizes that it is only through her love and determination that the curse can be broken and Anluan and his people set free. My thoughts: As is her style, Marillier included some dark elements to the tale that really drew me in as a reader. I was invested in the characters, I felt their pain and disappointment as they did, and found myself on the edge of my seat hoping for a happy ending. As many of you know, Juliet is the queen of slow burning romances. This story did not disappoint, every look and small gesture radiated with something more and as always, Marillier broke my heart a little just to put it back together. 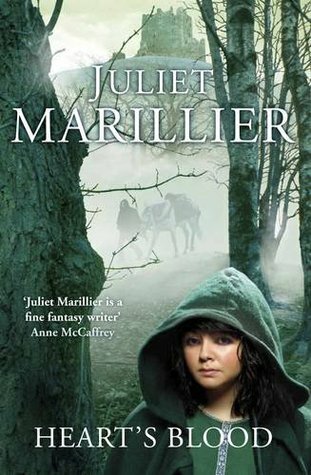 Thankfully, Juliet Marillier made my heart sing per usual, she stayed true to her path of weaving so many elements into a beautifully layered story. She creates friendships between characters (both human, Other, and animal) that bring tears to my eyes and warmth to my heart. This book comes highly recommended; it is an absolutely unique and gorgeous retelling of an age old tale. Synopsis: After his wife’s untimely death, a powerful sorcerer dedicates his life to seeking revenge against all womankind. He turns his captives into beautiful swans–who briefly regain human form by the fleeting light of the moon. Only Odette, noblest of the enchanted flock, has the courage to confront her captor. But can she gain the allies she needs to free herself and the other swan-maidens from their magical slavery? A monumental tale of loyalty and betrayal, of magic good and evil, of love both carnal and pure, and of the duality of human nature, The Black Swan is a rich tapestry which is sure to become an all-time masterpiece of fantasy. 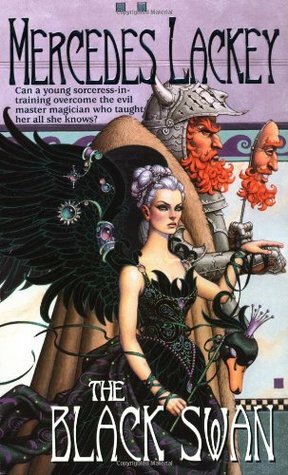 My Thoughts: This was one of the first fantasy books I picked up as a young adult, I read it so many times that my paperback fell apart and my mother bought me a hardcover as a replacement. I love (and also hate) the relationship between Odile and her father and I love the strength she gains as the story progresses. Each character grows in a different way and the relationships between everyone progressed in relatable and interesting ways. I also adored the land that Lackey creates. At one point Odile is using magic to carve out a “home” out of a treen for herself and the swan maidens and for some reason it is a part that stuck with me for years, the image is forever etched in my mind. This novel comes highly recommended to lovers of fantasy, strong female characters and those who love their fairy tale retellings as much as I do. 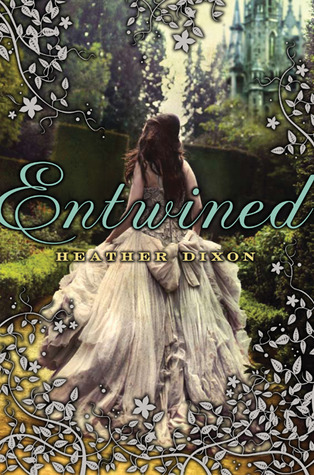 My Thoughts: I had a hard time getting into Entwined at first but after trudging through a bit, and when the girls meet Keeper, the book starts to get good. Keeper was all kinds of awesome; he was handsome, mysterious, compassionate and evil. That’s right, EVIL! There comes a point in the story where Azalea finds out that there are people who’s souls have been captured, these “people” have had their mouths sewn shut so they are bound to live forever trapped in this in-between world with the inability to speak. How horrific?! I loved this. Then, the evil comes to the castle and there is this epic battle and all of these love pairings come about in a non-obvious way and it was so sweet and refreshing from the immediate I-have-to-have-you-now that comes in most YA romance novels. Also? I cried. This alone makes me like this book because it was so unexpected. The relationship between the girls and their father is even better than the romantic relationships in the book, which is rare and beautiful. *I had some hesitation recommending this one because if I could recommend one retelling of The Twelve Dancing Princesses, it would be Wildwood Dancing by Juliet Marillier…BUT we already have a Marillier book on this list so let’s branch out. Synopsis: Before Peter Pan belonged to Wendy, he belonged to the girl with the crow feather in her hair. . . .Fifteen-year-old Tiger Lily doesn’t believe in love stories or happy endings. Then she meets the alluring teenage Peter Pan in the forbidden woods of Neverland and immediately falls under his spell. Peter is unlike anyone she’s ever known. Impetuous and brave, he both scares and enthralls her. As the leader of the Lost Boys, the most fearsome of Neverland’s inhabitants, Peter is an unthinkable match for Tiger Lily. With enemies threatening to tear them apart, the lovers seem doomed. But it’s the arrival of Wendy Darling, an English girl who’s everything Tiger Lily is not, that leads Tiger Lily to discover that the most dangerous enemies can live inside even the most loyal and loving heart. My Thoughts: From page one I was taken by Tiger Lily and they way she was vastly different from those around her. I fell for Peter as she did, little by little she gave into him and let him into her heart. Through Tink’s eyes I was able to see how she couldn’t quite give enough and wasn’t exactly what Peter needed. There were times I was so frustrated with her and just wanted her to be what he needed her to be even though I knew it wasn’t her, I knew she didn’t know how to give in without giving up herself. I’ll be honest, the ending was so heartbreaking yet beautiful at the same time that I read it over and over. I felt my heart break and mend almost simultaneously. It was phenomenal. The story was riveting. It was heartbreaking, tender, harrowing, compelling, breathtaking and all around gorgeous. I recommend it to fans of strong heroines such as Scarlet, fans of Peter Pan and readers looking for a fantasy novel that will make them feel an array of emotions. 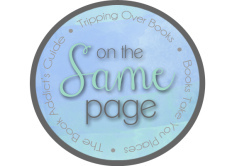 On the Same Page is a feature here on Books Take You Places that I am hosting along with two of my very dear friends, Amy (Tripping Over Books) and Brittany (The Book Addict’s Guide). Essentially, we will be reading one book a month together and then doing a non-traditional review such as a playlist, character analysis, and so on…To find out more about this new feature, head on over to its dedication page! This entry was posted in On the Same Page and tagged adult, Beauty and the Beast, fairy tales, fairytales, fantasy, princesses, retelling, retellings, romance, swan lake, young adult. Bookmark the permalink. I need to stop reading some of these types of posts because they add so many books to my TBR, but these books all sound great. 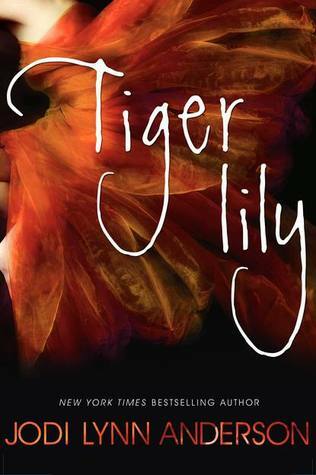 I have read Tiger Lily and I really enjoyed it. I love a good fairy tale retelling! 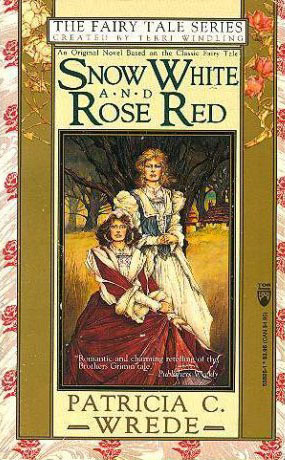 Totally agree with Snow White and Rose Red and Heart’s Blood…I’ll have to check out these other books now! I’d also add basically anything by Robin McKinley. Find What You’re Lookin’ For! 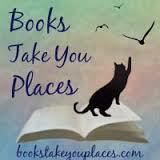 All reviews, posts, and features are uniquely created by Alyssa of Books Take You Places, unless otherwise noted. You may not use my text, pictures, features, or any other original content found on this website elsewhere without gaining permission from me. All opinions are my own and do not reflect on anyone, including my employer. As noted elsewhere on this website, images and blurbs are taken directly from Goodreads unless otherwise noted. I am not compensated for any reviews or review copies that I receive from publishers and authors. In addition, obtaining advance copies of books from publishers never changes my opinion or review.